Thekkady - The very sound of the name conjures up images of elephants, unending chains of hill and spice scented plantations. 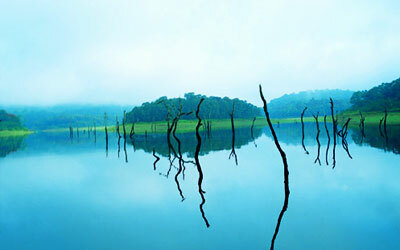 In the crisp, cool air of the Western Ghats you will experience the most enchanting holiday. With the animals of the wild and the simple mountain people. In the Periyar forest of Thekkady is one of the finest wildlife reserves in India, and spread across the entire district are picturesque plantations and hill towns that hold great opportunities for treks and mountain walks. The Thekkady sanctuary is one of the best in the country for watching and photographing wild life. 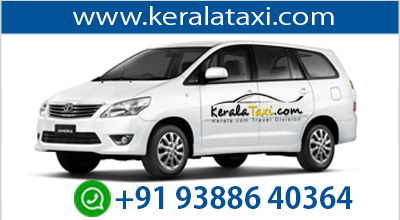 Thekkady is on the border with state of Tamil Nadu , in fact just 5 kilometers from the border town of Kumily which is very well connected by bus to both Kerala and Tamil Nadu. Notable among the denizens of Periyar are the tigers, the majestic Asiatic wild elephants and the distinctive Nilgiri langur. Other animals include the wild boar, wild dog, bison, bear and leopards. Amongst the avifauna, the most profuse are herons, egrets, darters, kingfishers and the great Malabar grey hornbill. A cruise through the waters of Periyar lake around which the wild -life sanctuary is situated, offers a soul - stirring pleasant experience.